Outlander - 1x08 - Both Sides Now. . HD Wallpaper and background images in the outlander serie de televisión 2014 club tagged: photo outlander season 1 both sides now 1x08. 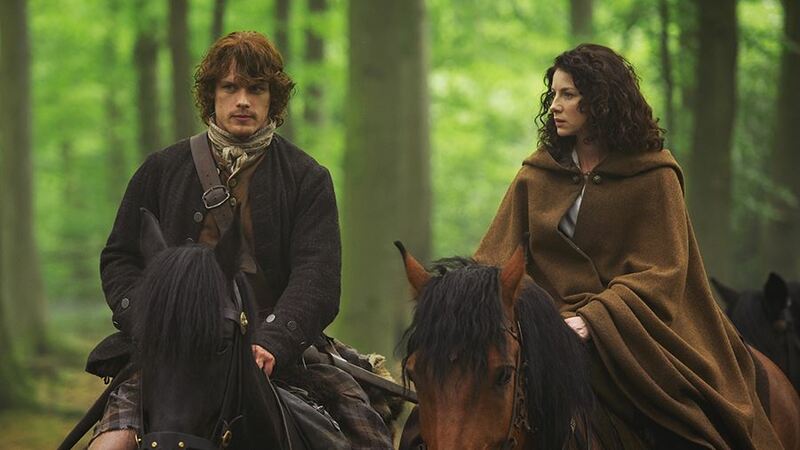 This outlander serie de televisión 2014 photo might contain camino de herradura, sendero de caballos, camino real, capa, wrangler de caballo, wrangler, and caballo wrangler.